I acquired this late 80’s Georgena Terry Gambit a number of years ago. I don’t remember whether I purchased it just as a frame, or as a full bike. I was attracted to it at the time because I imagined the long head tube and small front wheel (a 24 incher) might make an interesting reinterpretation as a cycle truck of sorts. At the time, I hadn’t paid much attention to the provenance of the frame, nor to its geometry. Recently needing to clear some space from my shop area, I brought the bike out and started to think about its purpose in life. 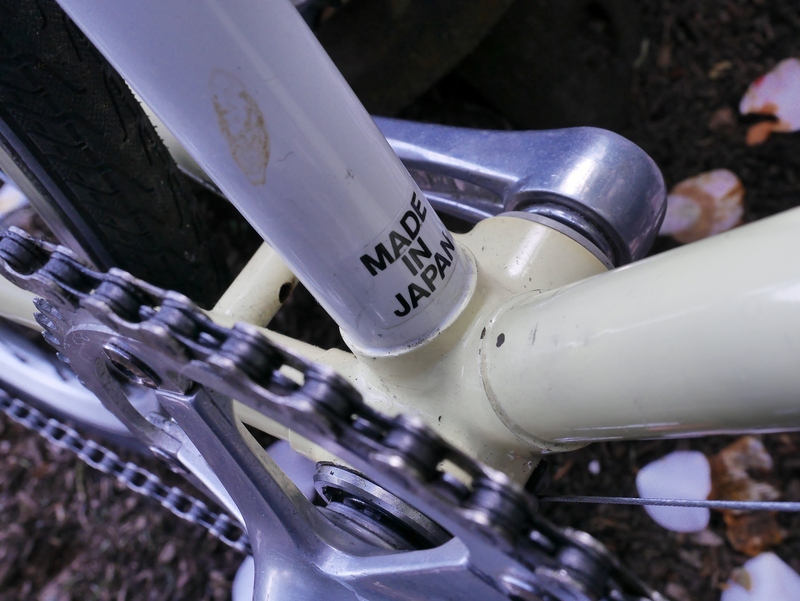 With its Made in Japan brazing, using Cro-Mo lugged steel tubes, the bike would definitely not be considered a low end offering. So, I thought I would add a few components to make it ride-able, and then donate the end result to to Community Cycling Center so that the right cyclist can enjoy this interesting bicycle. 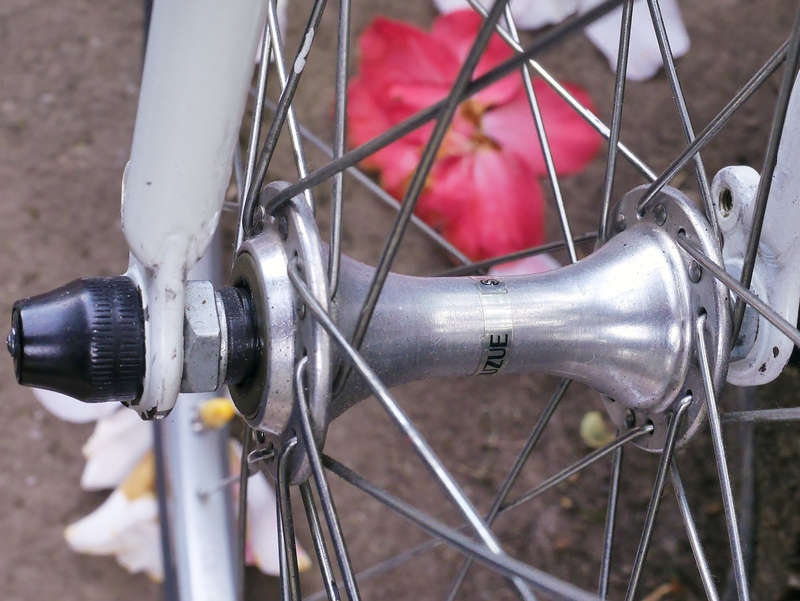 Original to the bike was the front Araya 24 inch rim laced to a sealed bearing Suzue hub. 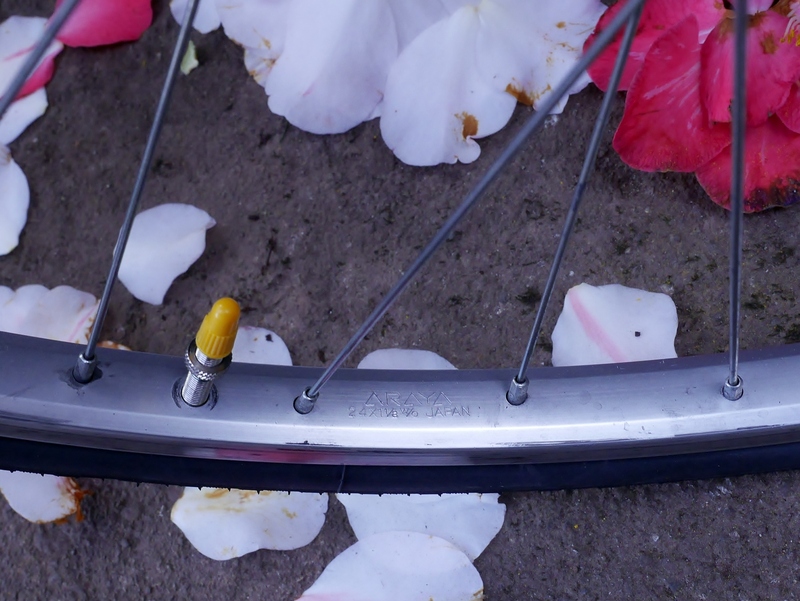 A nice and competent front wheel. The geometry of the bike is not ideal by my standards, with more wheel flop than I prefer. 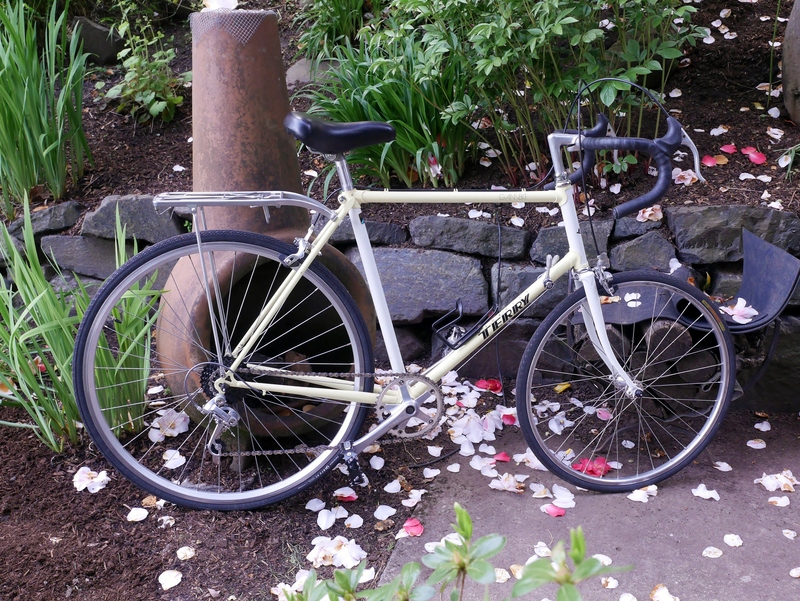 However, its short 51 cm top tube, made possible by the small front wheel, allows this bike to be a comfortable ride for those of shorter stature. 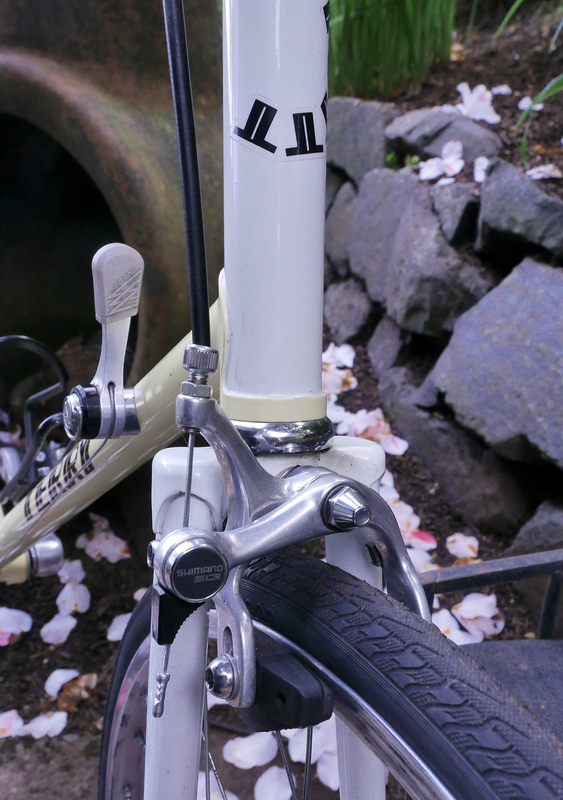 The easy reach to the front of the bike, even with traditional road handlebars, is the whole idea behind this frame style. 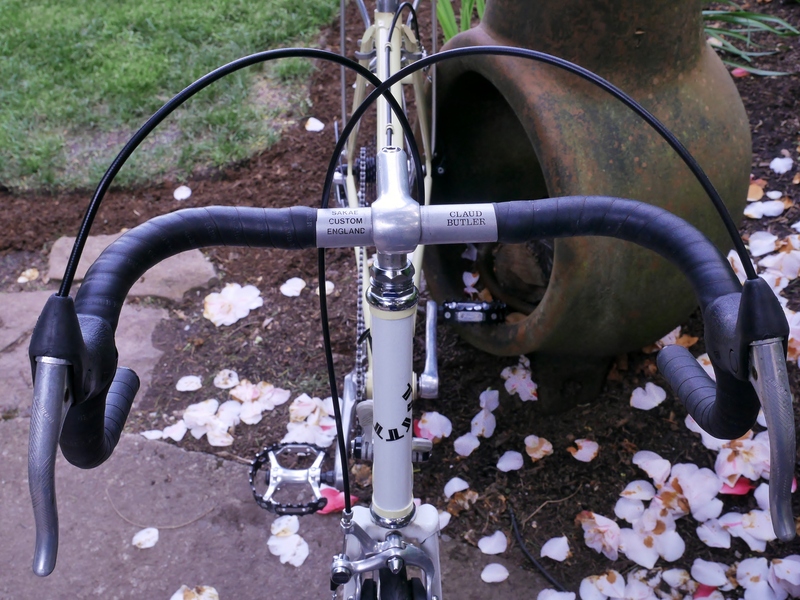 For the front end, I threw on a salvaged Claud Butler road bar set mounted with Shimano non-aero brake levers. 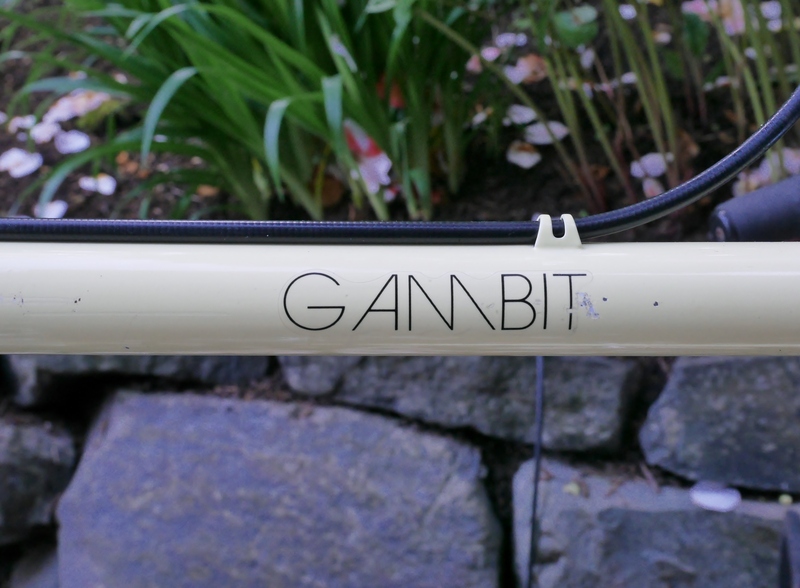 The road-ish style and leather bar tape seemed about right for this bike. Plus, I enjoy setting up the brake housing on non-aero style hoods, for that nice vintage look. 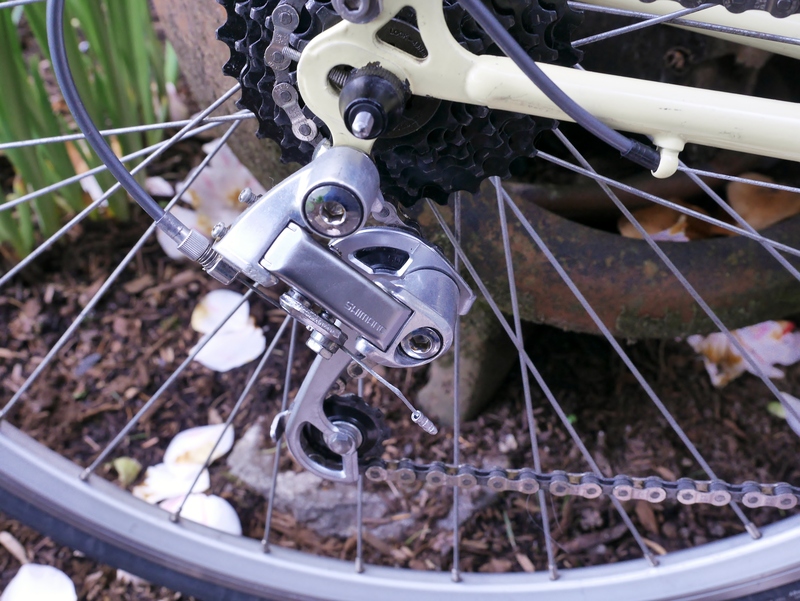 I used Shimano down tube shifters, but set the drive train up for a single chain ring up front. 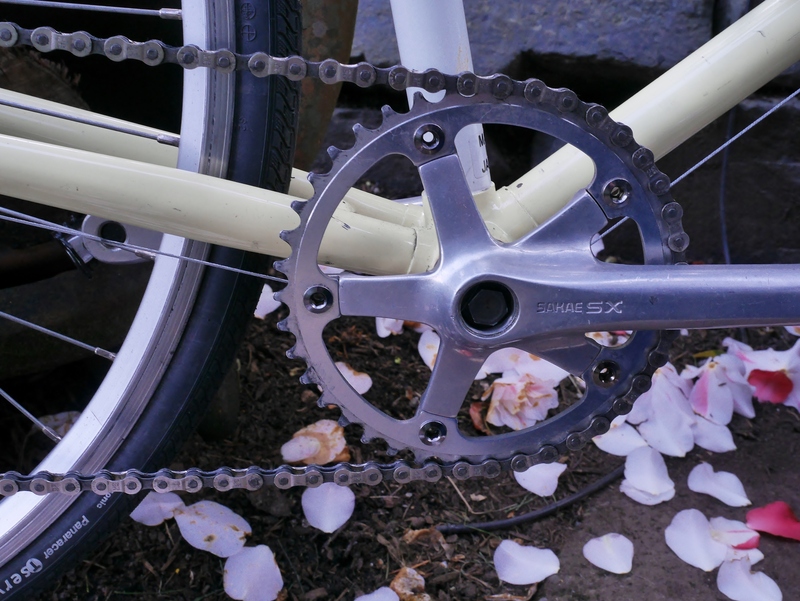 A Sakae crankset completes the build, and works amazingly well. 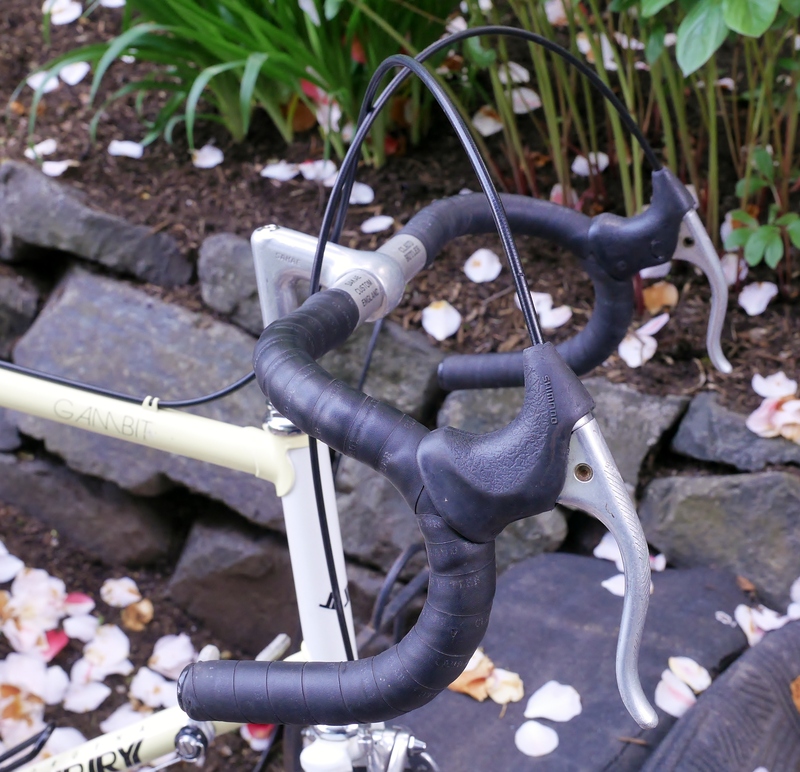 A funky Pletscher rear rack adds utility. 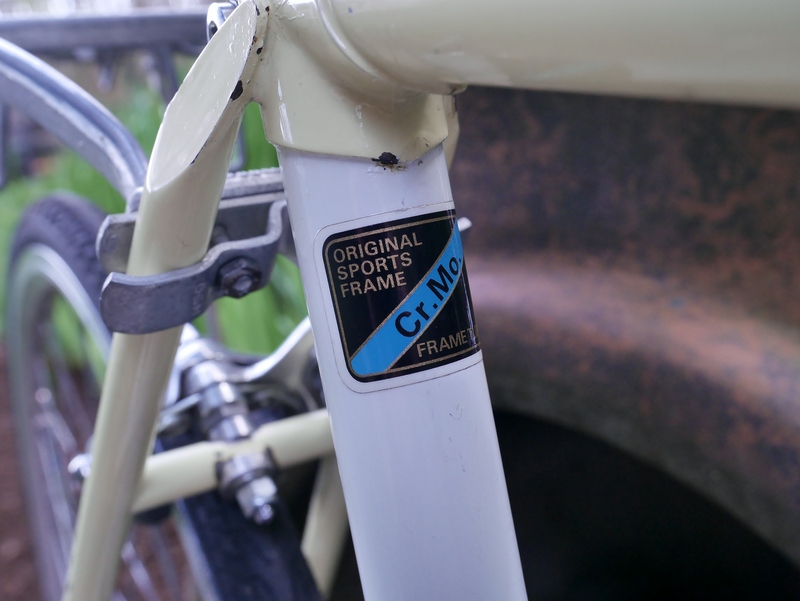 This bike is an interesting example of the quality of steel frames which can be found in the 1980’s. 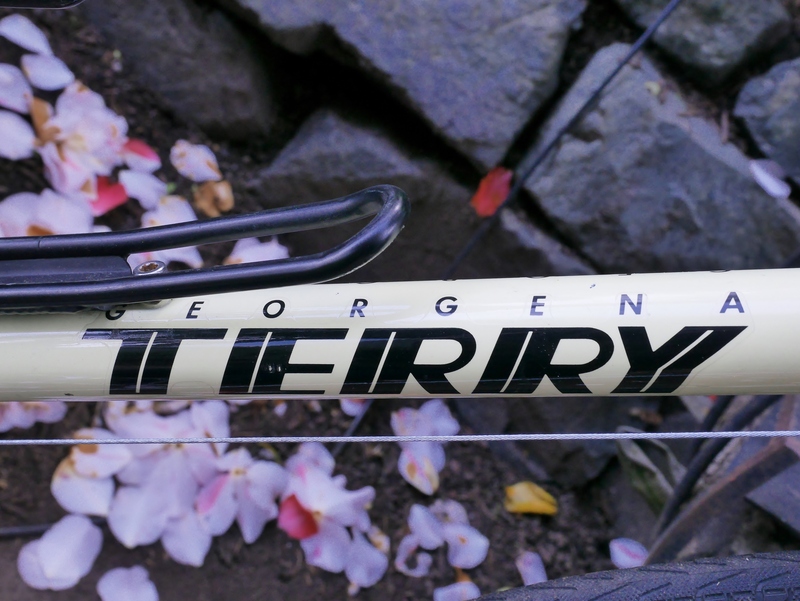 While not technically vintage by my standards, this frame is an excellent example of the cycling industry’s offering of this era, with Georgena Terry being one of its most important innovators. 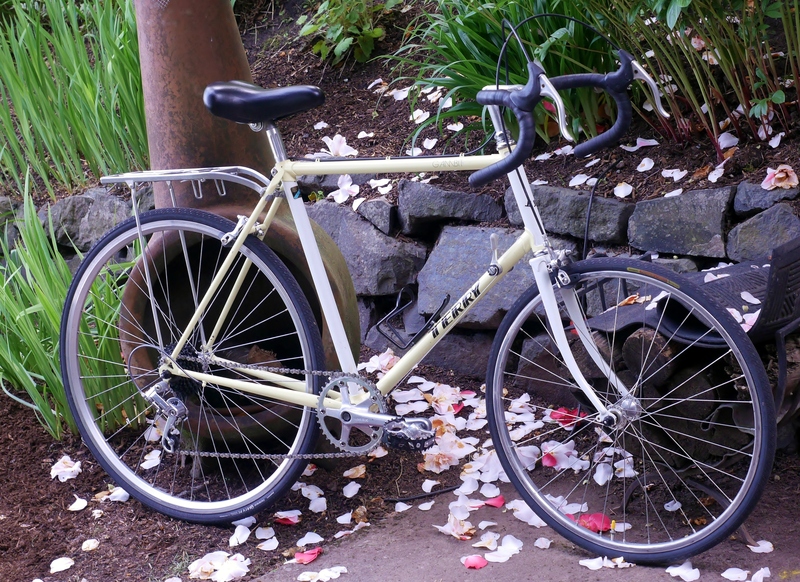 This entry was posted in Bicycle restoration, Commuter bicycle, Frame builder, Terry, Terry Bicycles and tagged Araya rims, Georgena Terry, lugged steel, Sugino crankset, Suzue hubs, Terry bicycle by Nola Wilken. Bookmark the permalink. “I imagined the long head tube and small front wheel (a 24 incher) might make an interesting reinterpretation as a cycle truck of sorts.” I absolutely could see that from the first image. That was my initial thought as well. That nearly vertical head tube just screams utility and the smaller front wheel, although for the “shorter stature”, also doubles as a simply stronger wheel. 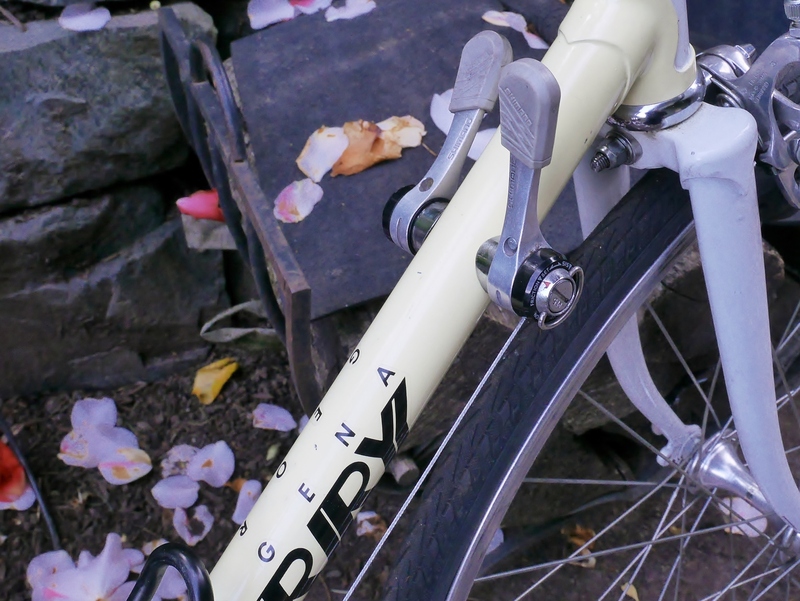 Have you considered putting a front rack on just to try it out? Hi Josh, I did try out a front basket on this bike. It was mounted slightly below the handlebars. With the bike’s front end geometry the handling was not ideal. 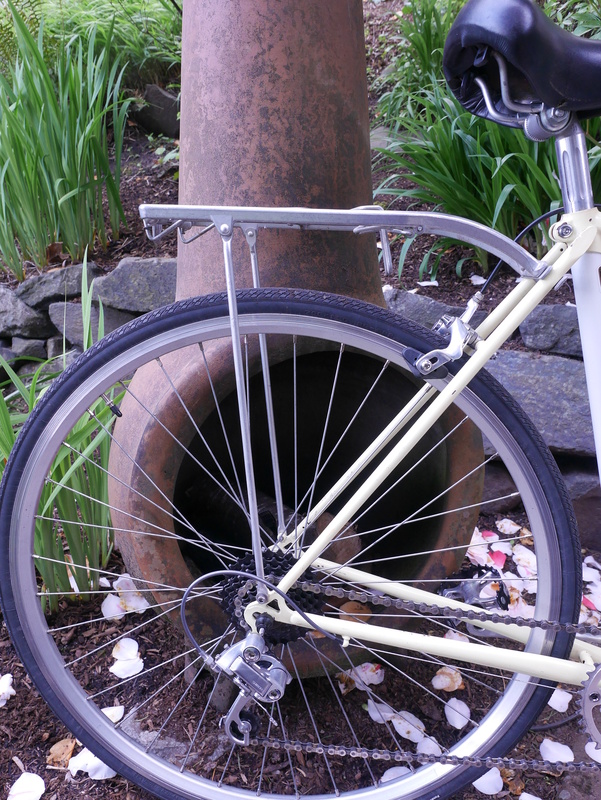 However, a rack mounted low above the front tire might have provided a better result with greater stability. Hey, just stumbled on this thread from a search, but I ride bikes like this and can confirm it’s excellent with cargo. I’ve used a CETMA rack for years, initially with adjustable Wald struts and then I asked the CETMA guy to make custom length supports. A+++ would recommend. Georgena Terry is a genius.